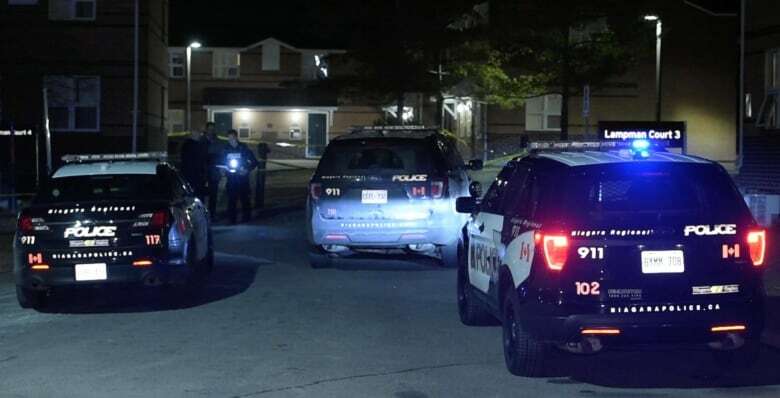 Two people were stabbed and another was shot with what's believed to be a pellet gun in a "serious assault" that saw cruisers descend on Brock University Thursday night and briefly closed its campus. Officers arrived to find three people injured. All were taken to hospital with non-life-threatening injuries, Gavin tweeted. Four suspects were seen fleeing the campus in a vehicle, he said. No arrests have been made, nor have any suspect descriptions been released. Gavin says the investigation is still in its early stages, but that the incident appeared to be a targeted one and there is no "ongoing threat to safety."